You are sure to turn some heads when you have your brand on an item like the Heavy Weight All-Cotton Pocket Tee. This short sleeve shirt is made out of a 6.1 oz., 100% cotton material. For your convenience the product comes in a wide variety of colors and sizes for you to choose from. Don’t forget to imprint a personal message or your company logo. 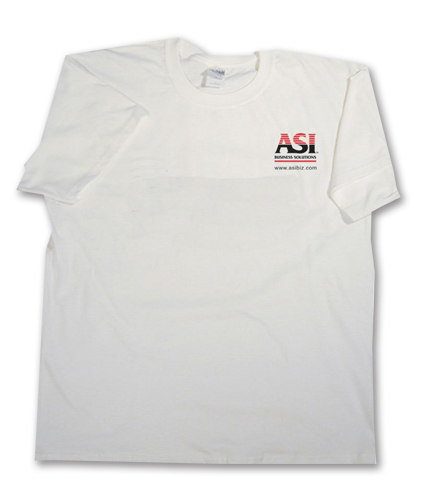 Make yourself a walking billboard for your business with this name brand shirt!